I attended the public meeting on the Zero Carbon Bill in Tauranga last Monday. A team from the Ministry for the Environment (MfE) presented details as part of public consultation on the bill. About 80 people (mostly old ones) turned up, but the Environment Minister, the Hon James Shaw, though expected, did not turn up. The government is asking for our comments on the bill (the country’s principal global warming response) and they imply that thereby we are helping to choose the country’s future. But they’ve already made the big decisions. The government has already set the framework for the Climate Commission and determined our emission target for 2050 (guess what it is—zero!). The government is under no obligation to implement public recommendations for the Climate Commission or the semi-decadal reduction targets along the way. The presenters were well rehearsed but they cocked up the logistics. The meeting began 20 minutes late. There was no microphone, amplifier, projector or whiteboard, so only the dozen or so under-40s could clearly hear the speakers, who were frequently asked by the elderly majority to “speak up” or to move to the front of the stage. None of the speakers seemed inclined to enunciate clearly. The long Maori introductions, or prayers or whatever they were, were impenetrable, there was no English translation and no explanation for them. Maybe they’re just compulsory at government events. Both main speakers made frequent reference to missing slides as though it was amusing, for example: “There was a beautiful slide here.” Those who cared what they said were unamused that we couldn’t see the helpful graphics or make out the narration. Considering that the venue, full-colour brochures, booklets, air fares and accommodation came out of our taxes and that we are also expected to underwrite this expensive public scheme over 30 years, we fully deserved to hear about it, but much remained a mystery. We devoted several hours to a lacklustre performance that left me unsatisfied. Kiwis so far have no idea of the pervasive influence the Zero Carbon project will have on our private lives, the intrusions these civil servants are considering or the tremendous costs we’re expected to underwrite. Clearly, our government is prepared to create a shocking interference in our lives. A Climate Change Commission will be established with people of proven skills charged with either or both advising and instructing the government. The government has determined that national emissions must be reduced to zero by 2050, with targets at each five-year period before then to be decided. 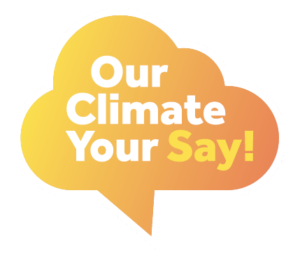 Since the meeting I’ve studied the brochure handed to us and the much longer Our Climate Your Say: Consultation on the Zero Carbon Bill (pdf, 1.4 MB) from the MfE website. They include numerous distortions and porky pies. I hardly made it past Shaw’s introduction before bogging down in inaccuracies. The Government is committed to acting on climate change. To those who understand something of climate science, this signals the government’s utter disregard for science, at a moment when they ought to be giving the citizens of New Zealand a little solid evidence to support their intention to reduce emissions to so-called zero. Even a cursory examination reveals substantial doubt in scientific circles about numerous aspects of the science behind climate change. I don’t refer here to vague doubts allegedly raised by sceptics in desperate attempts to scotch the truth about global warming, but rather to real disputes of opinion between genuine scientists on both sides of the ideological divide. Contrary to the impression given by the mainstream media, there does exist vigorous debate about numerous aspects of the new field of climate science, including the climatic influence of carbon dioxide, the atmospheric lifetime of CO2, the global warming potential and lifetime of methane (which new research suggests has been greatly overstated), the effect of clouds and water vapour, the influence of volcanic heat recently discovered under Antarctic ice sheets and glaciers, the beneficial effects of increasing CO2, the complete absence of acceleration in sea level rise and, particularly for New Zealand but highly relevant around the world, the absolute futility of reducing our emissions in the face of soon-to-triple Chinese emissions, which are already some 177 times greater than ours, not to mention growing emissions from Europe, India, Russia and Japan (US emissions have been declining for three years). There are many more areas of dispute. Add to this the incredible resistance by Greens to both hydroelectric schemes and nuclear power and there’s a great deal being swept aside by the rush to implement the Zero Carbon scheme. I note that, though Greens oppose future hydro schemes, they’re perfectly happy to rely on our existing generators in their planning to keep the lights on. Why not more? Strengthen our power security? We ought to be talking about all this, not sweeping it under the damned carpet. This “analysis” is more like a snow job. The government should be providing this information. According to the MfE, their economic modelling assumes “electric vehicles increase to make up 65 per cent of the light vehicle fleet by 2050,” or, in another scenario, 95%. But where will the electricity come from? We don’t have enough generating capacity at the moment. Why do this? The Royal Society of New Zealand provides no evidence for a dangerous human influence on the climate. What does the government know that the RS doesn’t? Why don’t they tell us? I’ve come across references to perhaps several billion per annum in direct costs and lost opportunities. What’s the treaty got to do with it? The Treaty of Waitangi, as one might expect, says nothing about global warming, but the MfE say, “it’s important to consider Maori rights under the Treaty of Waitangi in facilitating the implementation of climate change opportunities.” Unexpectedly, they believe it’s not enough to include Maoris when considering everyone’s rights in implementing climate change policy: Maoris must have a special category. This is a weird view of the population. I say weird; I mean racist. On the economic effects on Maoris, the KCP (Kiwi Climate Propaganda) Ministry tells us that they haven’t bothered to measure the effects “on Maori businesses or households” but they’re really, really sure they will be affected and so “Maori households will have to be considered.” This wishy-washy analysis can satisfy nobody. Overall, this was a dismal glimpse of the enormous bureaucracy being created for a bad climate policy that has no apparent reason to exist save mollifying overseas customers. Though I’ve never heard them complain or heard of sales being affected. Unless we nip it in the bud, it’ll stay for decades until Mother Nature exercises her veto by cooling things down, as scientists are predicting. I asked a question but this article is too long. There’s more, so much more. As ever, what do you think? Defund the lot. Like free fees another pile of steaming shite we cannot afford! Thanks for the report. A done deal, the Hon James thinks. No doubt the Quiet Sun effects, such as below, will be explained away as the work of old white men again. Been expecting this, and thankfully other scientists are coming out with numbers of not so biased papers, lots of them. MfE uses IPCC CMIPs, and I am working on promoting their statistical brokenness, but have some distance to travel yet. One idea is to bring the consequences of not using proper Stat Analysis home to all public figures and their minions who use them, in legal and fiduciary senses. My Stats Prof really made us understand the need to use professionals to handle our own research, realising that we spent years learning our science, but only a little of that on Stats. Just enough for getting a rough idea but maybe missing the proper methods to use depending on the nature and use of our data etc..
Hopefully the voters will return a conservative government before the ship hits the sand. If they don’t the ship will hit the sand and NZ will become an impoverished, quaint little South Pacific curiosity. Then maybe the silent majority will speak. Climate models predict the Arctic atmosphere will hold more moisture as global temperatures rise, he notes. A wetter atmosphere means more snow in winter and spring, potentially causing late snowmelt to interfere with shorebird reproduction. Counter-intuitive, some would say, that warming prevents melting. Your reference to “the Quiet Sun effects” seems more likely. The sun is spending long periods free of sunspots, though I haven’t seen recent data on radiation, nor do I know what decrease might delay spring by a fortnight. btw, I’m surprised to learn that a delay of merely two weeks causes widespread starvation and completely spoils the birds’ breeding season. I’d suggest we’re looking for multiple factors here, and peering through one lens causes tunnel vision. But what do I know? Then maybe the silent majority will speak. Yes, this worries me, too, that Kiwis will calmly go along with everything that doesn’t actually explode beneath them until something does actually explode beneath them. …until Mother Nature exercises her veto by cooling things down, as scientists are predicting. This is just to start you off. Several year old “Studies” predicting an imminent decline in temperature which never occurred. Nutters and charlatans who don’t even believe that there is a greenhouse effect. I thought you had a bit more common sense. Though it was published by Principia it doesn’t discuss greenhouse gases, so it’s not relevant what they believe about that, and the forecasts aren’t made by Principia members, as far as I can see. You say the forecasts of cooling “never occurred.” Perhaps you could glance over it again and note that some of the forecasts haven’t begun and it will be several decades before many of them can be decided. Common sense is a great idea. Thank you for representing common sense and real science. This, from a retired geologist who worked around Viking encampments in the bitterly extreme (dangerous) mid-high Arctic of Canada in the seventies. And then, for 8 years while the Hockey Stick Graph was the IPCC banner, expected to believe that, actually, there was no Medieval Warming! Well, yes, that’s depressing. Let’s hope she doesn’t represent the Nat caucus properly. Isn’t it wonderful how the handsome faces of Generation Zero can present doom and gloom with that adorable cheerfulness? You’d need a heart of stone not to vote for them. Fortunately, I can summon granite like lightning. Thank you for representing common sense and real science. Thanks, and welcome aboard. You were in a good position to question the “disappearance” of the MWP. Certainly, it must have been hard to explain the Viking presence in the Arctic without warming. Thank goodness the IPCC have since put the Hockey Stick behind them. Though there are still plenty of other climate myths. I have conducted the simplest basic experiments needed to test the CAGW myself, and find none. As the Gas Laws and the work of Maxwell, Wood, Hartmann, Klein etc. show, there to be none, and no physical basis for one. Gases are not solids, SB is inapplicable until the step into space. However, I will keep devising experiments and fining up my instrumental measurements. Unlike the name-calling kids they send against us these days…..
Tony, great to have your input. Yes- a brutal climate today where we had to be extremely careful. It must have been a couple of degrees warmer globally in the MWP, perhaps more in the Arctic given their farming in Greenland. The experience got me interested in climate and, since then, my career intertwined several times with the “climate change” fiasco. When the Mann graph appeared about 1998, I knew straight away this could not be correct. I then had a ring-side seat for eight years as the persistent Canadians S. McIntyre and R. McKitrick exposed this travesty – both a frustrating and exciting period as they got closer and closer to exposing the graph as erroneous. As you no doubt know, Maurice Strong, a brilliant Canadian, once touted as future liberal party PM of Canada, but essentially blocked off by Pierre Trudeau, became a powerful UN mandarin instead, and key driver of the IPCC monster. As a young geo of little consequence, I met Strong at an environmental conference in Yellowknife, NWT, in 1976 (or 1977), thence following his career with interest. He did not request a photo-op with me! Strong, notwithstanding having made his fortune in the Calgary oil and gas industry, was a radical socialist and wanted to change the world order and transfer wealth from the rich fossil-fuel burning West to developing nations – human greenhouse gas emissions being the chosen route of course. Later there were the allegations of corruption and his departure to China, where he lived out his days. During the eighties I was Canadian manager of exploration and acquisition for uranium resources to supply the UK Central Electricity Generating Board reactors, acquiring some familiarity with the UK electricity industry. In those days the UK had a fairly good electrical generation program, with a significant nuclear contribution. PM Thatcher, anxious to break the coal mining unions, reportedly made money available to research organizations to find alternatives to coal and undermine the unions. Perhaps this was the beginning of the corruption of climate science. James Shaw would do well to take a hard look at the shambles of the UK electricity industry today before he copies their model. Working in North America, I also observed first-hand the “adjustment” of historical temperature data by various agencies. It was dismaying to return to NZ several years back and discover the same thing had apparently occurred here. I have been actively challenging inaccurate climate data published in the Herald, writing many letters, with two or three published. At one stage taking a complaint to the Press Council on unbalanced coverage Nov. 2017). Of 207 Herald articles I analyzed, 193 presented “climate change”, in the perversely defined IPCC sense as human-driven, as being indisputable and basically an endorsement of CAGW. It seems the NZ Press Council must have a threshold of higher than 92.3% to establish lack of balance! It is distressing that NZ lacks an independent oversight body, and seems destined to pay a heavy economic price for this. My complements on your excellent and informative site. Well, Tony, thanks for your excellent summary of a distinguished career. You’ll be an asset here; keep me from straying too far, at least. I hadn’t read much on Strong, so that’s interesting. As the Gas Laws and the work of Maxwell, Wood, Hartmann, Klein, etc., show there to be none, and no physical basis for one. Are you saying there’s no greenhouse effect, or that you’ve been unable to detect it? Tony, nice history you have, Im sure you will be an asset to RT (I always wanted to be a geologist). Small world we live in, back in 80’s my dad was the head of recruitment for the CEGB. I think you are right about Thatcher, she hated the miners with a vengeance. She started funding anything that could show coal to be bad. The UEA used that funding and came up with the hockey stick, had people realised the UEA is actually Norwich university they may not have put so much credence in the graph. Not like Norwich is Oxford or Cambridge. Richard, I guess I am saying both. I have an oven bag of pumped air and one of CO2 sitting on my bookshelf right now..
My own testing has need of much refinement before it can be definite. Each winter I take time to consider and work on it. But I/we have studied much work including of the folk cited above and have found no credible refutation. In atmospheres here and solar-system-wide, all good measurements show no room for ghe, which relies on water vapour magnification (not found) to do the job. Ditto the tropical Hotspot. The nature of gases constrained by gravity but not confined is what makes the Gas Laws rule. Not that I will argue but rather rely on progressive “empirical integration by God” as Einstein said; via cycles and Quiet Sun to settle things either way. In 2014, 93 papers were published. In 2016, 133 papers were published. In 2017, 121 peer-reviewed solar papers were published. In 2018, so far, ca. 60 papers. Thanks Tony, very informative, first-hand stuff. Those sad twisted academic marxists wish to pull us all down, while Vladimir smiles and sells gas to Europe. Must be annoying that it lowers CO2 emissions, and USA leads in that.